“SelfDrvn allows participants to interact with each other in the program. They can now compete with each other. Previously there is no live or interactive fitness activities like this where people can comment or like the posts as well to upload video in the platform. Organisations understand the struggle to keep employees continually engaged and aligned with their corporate objectives, even when these benefit the employees themselves. Ensuring talent prioritise health and wellness brings tremendous benefit not just to the individual but the organisation as a whole, in terms of productivity and the financial bottom line. With these issues in mind, AmMetLife, a well-established insurer in Malaysia, embarked on a wellness journey with the help of HealthPro. A corporate wellness partner, HealthPro was engaged to bring to bear their eight years of experience in conducting programmes, talks and workshops supporting fitness and health initiatives. Initially, HealthPro relied primarily on an offline approach to manage and deliver their wellness programmes. Digital and tech tools were limited, sporadic and restricted by the narrow confines of the tools employed. Consequently, there was insufficient visibility and thereafter, an inability to track the effectiveness of their campaigns. Drop-offs in engagement were not captured systematically or quickly enough. HealthPro was looking to solve a few challenges. First, they wanted a digital solution that would complement their offline approach. They needed something responsive and which worked in real-time. It needed to embody all the functionality users have come to expect from social media and digital tools – a seamless and intuitive interface, heavy focus on aesthetics and visual stimuli, real-time reporting and analytics. Second, they wanted the ability to leverage the communication efforts between HealthPro and the users as well as support peer to peer interaction, camaraderie and the fun, competitive spirit that would develop as a result. Third, they wanted real-time reporting so that drops in engagement could be captured and then addressed in a timely fashion. Fourth, they appreciated the value of gamification in the digital solution because it would drive engagement further. HealthPro approached SelfDrvn who met all of these requirements beautifully through their digital solution. It worked well because it ran conveniently on both web and mobile applications to provide a truly immersive experience. In effect, the digital approach served not just to complement but enhance their offline programmes, print collateral and communication strategy for maximum impact. SelfDrvn was launched via the introduction of the RoBo Trainer, whereby users would get 24/7 access to advice from different facilitators as well as peer sharing. When users performed the actions desired, they would get rewarded. Aesthetics and visual stimuli were key – a range of formats including text, animation and videos were shared with users and there was regular prompting for certain actions to be taken with the promise of instant rewards. Real-time feedback and point collection served to create and sustain the positive behavioural change required. There were a few features in the SelfDrvn solution that helped bring all of these varied elements together. Stepathon, a step counting activity, designed to motivate users to lose weight coupled with goal setting, points and badges showcased by the leaderboard provided the necessary elements of fun, competitive spirit and reward so critical to engagement and sustained use. At the same time, this allowed HealthPro to systematically roll out knowledge assessments, surveys and intervention modules as required, improving and refining the experience along the way. The outcomes from the 62 users who were pre-selected for the program outstripped expectations. HealthPro recorded an 84 percent adoption rate throughout the program. 68 percent of the users agreed that SelfDrvn helped facilitate more effective communication between peers and also with coaches. 63 percent agreed that the Digital Health solution motivated them to strive harder and achieve more than they expected. With the help of Digital Heath, users are able to know how to lose weight in the right way and how to exercise without using any tools. The result showed that the biggest loser using SelfDrvn Digital Health solution lost 22kg. In the end, SelfDrvn did much more than just help employees lose weight. They helped align corporate and individual goals. They supported the shared objectives continuously, and in the process, created a more engaged workforce, improved productivity while simultaneously reducing ill-health related costs. A.S Louken is a Singapore-based branding agency with around 100 employees. They offer comprehensive branding solutions and strategic direction to a wide variety of business clients in different industries, helping enterprises in Asia become market-leading brands of tomorrow to over 1,000 clients across more than 10 countries. 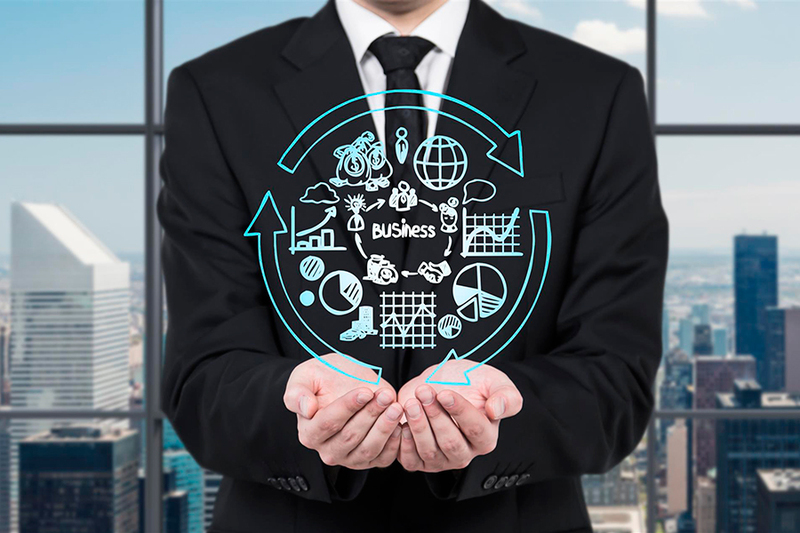 After a period of growth, A.S Louken experienced what most fast growing companies are going through, the growing gap of communication between the management and the people who are primarily working on solution for the customers as well as the customer facing staff. Delayed messages coming through and to between the key management team and the important pulse that comes from the frontliners, as well as the growing gap of flow and understanding between departments to deliver effectively to customers’ expectations are common in Louken. Fewer exposure to collaborations among departments resulted in a negative impact to work productivity. Therefore, it was a top priority to establish a simple way for everyone to be informed and get to know each other. They needed a highly engaging and effective solution allowing employees across the company to communicate with each other and be informed about both business news and fun team building events while maintaining accessibility to all employees at any given time. As a result, SelfDrvn supported A.S Louken in launching an enhanced LiveWire@ASLouken (Powered by SelfDrvn) company-wide to power engagement via mobile and desktop channels. This means all employees from different business units and subsidiaries share a unified communication platform for better alignment. Groups and social feed functions and reward & recognition features become the primary value drivers to meet the objectives. Employees were rewarded for organising peer programs such as rock climbing, cooking and cardio dance activities via the Events section through badges and points that are eventually be used to redeem privileges and rewards from the company “shopping store” within the platform. The impact is instant. On the first day of launch of LiveWire@ASLouken platform saw a dramatic increase in cross-company communication. The management and HR were able to see the conversations and how employees were using it – and most importantly, the management experienced the power of nudging – rewarding desired behaviours through gamification that is instrumental to build habits. AS Louken managed to easily track employee’s communication on a centralised platform that they can see over 90 users from 42 different topic discussion points, where employees from different locations participated since the launch of the campaign. After the campaign period, the company have formed 8 focus discussion groups to form a mini community with like minded interests. As average points rewarded for completing desired action is 100 points per activity, there were at least 9,378 actions completed and recognised over the the period. That is about 104 actions that instilled collaboration and value creation done by each employee in the company over the same period! A.S Louken now has a quantifiable way to track employee participation, communication and engagement. The real-time and usable statistics generated show that people are actively using the system to talk with each other, work together and organise team building events. It automatically tracks communication and event venue participation. Employees can now organise internal events, invite participants, track RSVPs and use QR code to scan attendance, all at one place. People who did not previously know each other now have an easy and fun way to engage with each other and they receive rewards they want as a result. People who are communicating are more likely to find opportunities to work together on projects and the platform tracks collaboration and peer recognition. Importantly, no one is left out of critical messages from HR and management because everyone has access. Over time, the company’s leaders can see opportunities for additional improvement and can easily identify what areas or groups require more attention. A.S Louken has a firmer plan to use the platform tools to listen to the voice of their employees more, through real-time ad-hoc feedback and survey. This could facilitate more frequent employee performance discussions and eliminate the current once a year paper-dependent process. In addition, it will be incorporated as an important communication channel in the upcoming change management practice to roll out new culture values that will involve rewards and celebration of every employee who lives and embodies the values of the company. The Company is one of the “Big Four” professional services firm that provides audit assurance, tax, and consulting services. The Malaysia office employs over 2,500 employees. The company was facing tough competition for millennial workers; a demographic that is tech-dependent and craves reward and recognition. Users of the existing employee recognition program were frustrated with the administrative burdens and lack of real-time recognition, resulting in unmanaged burnouts and subsequently leaving the organization. The company wanted to improve user experience by providing point driven real-time recognition directly from managers to employees that are transparent with rewards and recognition feature for the redemption of points earned and awarding badges for the positive behaviour. The key driver for the success of the objective needed to be a reduction in administrative burdens and ease of use for employees and managers. Enter SelfDrvn – a one-stop solution to engaging employees as well as their managers. SelfDrvn is a user-friendly, comprehensive employee engagement digital solution. It provides a consumerized user experience using mobile technology, gamification, and data analysis to transform the employee experience. With the features above, employees are able to keep track of points rewarded by their managers by points and badges as a result of recognition of tasks done and for performing actions like peer support, collaboration, and subsequently convert the points to vouchers that are of use to the users – all powered by a single mobile application. To the managers, they are now able to promptly instill positive morale to the team by quickly distribute points electronically to employees who can then receive their recognition immediately. Based on the employee’s performance, high performing employees are rewarded with points which they can accumulate the points and use them to redeem rewards that are meaningful to them, something that they choose and truly want. Rewards that are redeemable through flexible points and recognition app powered by SelfDrvn includes gift cards from 200+ merchants including Lazada, Zalora, Adidas, Grab, SASA, FashionValet, and more. After implementation of the flexible points and recognition powered by SelfDrvn, the use by the company’s managers began to rise immediately and significantly to an adoption rate of 80%. Within the first 6 months, over 2,000 employees received recognition and this garnered positive reviews from the users that also include the impact of more regular, quantifiable recognition by their managers. Based on a gamification model, SelfDrvn fosters participation, healthy competition and meaningful dialogue with managers, teams and co-workers. With constant competition for market share as well as talent, companies must invest wisely and with sufficient data to support business decisions. Historically, businesses haven’t always viewed employee engagement as a prime driver of the bottom line. The company’s results are strong indicators that a clear, timely and transparent recognition given by managers are key to employee engagement to celebrate their efforts and timely feedback of their performance in their job activities – made easier when powered by an ease-of-use employee engagement solution can dramatically increase participation and buy-in from employees and managers. Want to use real-time rewards and recognition for your employees too? Request for a demo on how it works here! CA Trust Pac is an independent member of the TGS Global Network Limited, an international network of professional business advisors. They offer audit, tax, and advisory services to small and mid-sized businesses, government as well as non-profit organizations. CA Trust Pac had one primary challenge – address retention levels. As a small organization of 90 employees, growing the team was much less a priority to retaining the people they had and ensuring employee engagement was on the mark. One of their goals was to be seen as an employer of choice for young Accounting talent. Addressing employee social well-being and health and wellness were, therefore, top concerns. They decided that events would be a primary platform through which they would undertake greater employee engagement as these were in-person activities. These events would provide a better listening channel as well help them provide better analysis of any data collected. SelfDrvn represented a single yet comprehensive platform to manage multiple drivers of employee engagement. With a variety of tools and touchpoints including employee pulse surveys, reward, recognition, peer feedback, goal setting, and wellness, it was possible to tackle a number of aspects of the employee experience. Take the app, Message in a Bottle, for example – this motivated employees to participate in idea generation, provide feedback as well as make suggestions for improvements. It is designed to allow for anonymous feedback and ideas generation that in turn, made it more engaging, fun and rewarding. 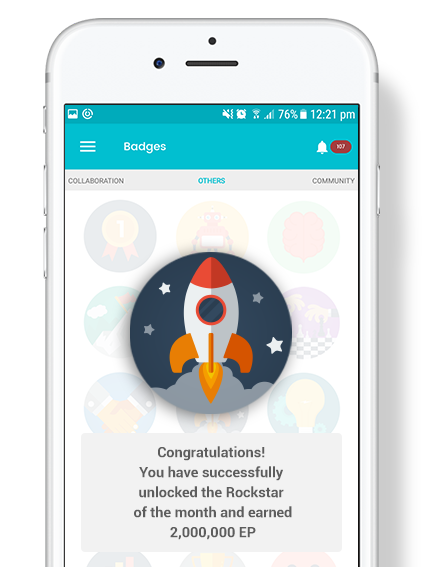 And gamification meant that employees could compete among themselves and earn rewards for their contributions. Message in a Bottle allows you to receive collective anonymous feedback from your employees and let them vote on the their top 3 most agreeable and top 3 answers they disagree to. This helps organisation to focus on issues that matters most to their employees through their collective voice. The Newsfeed allowed employees to keep engaged socially, collaborate and stay informed. Real-time rewards and recognition fuelled greater participation and by incorporating many of the employees’ ideas, participation rates increased which had a knock-on effect on the rest of the activities. As the statistics show, employee participation rates went through the roof at 97.5%. This increase in participation led to the creation and sharing of 1 idea from every 2 employees too (which is 4x more than traditional methods) all of which contributed to making their internal campaigns and initiatives an overwhelming success – signifying the true embodiment of a campaign that is “driven by employees for employees”. Nettium provides IT shared services in software development, 24×7 help desk and data center management. The more than 360-person team—headquartered in Kuala Lumpur, Malaysia with offices in Singapore—has been in the IT industry since 2009. Nettium connects online businesses to generate over US$5 billion in turnovers annually, and is one of the top 20 MSC status companies in Malaysia in revenue growth and headcount. While Nettium is predominantly focused on IT solutions, it has strong ties to talent management. Early on, chief executive officer, Lam Mun Choong, realized that Nettium was not just an IT company. He points out that all companies find it challenging managing IT talent, but Nettium did so well managing talent that IT customers wanted them to also manage the talent. More than just training employees however, Lam focused on creating a learning culture. “To be an outstanding company, you must have a learning culture foundation. Without it, you cannot innovate or improve; and if that happens, you end up stagnating,” he explains. In addition to facing the same talent retention challenges that many IT companies encounter, Nettium had another increasingly popular issue—encouraging a startup culture of learning, collaboration and innovation for its employees, comprising more than 79% of whom are millennials, below the age of 35, all eager to learn and receive regular feedback. Other challenges included high competition in attracting and retaining their best performers, and promoting strong employee engagement in a hyper-growth technology business. Nettium started using the Software-as-a-Service (SaaS) digital engagement hub, SelfDrvn, to measure and develop its learning culture in 2013. After 12 months, it became evident that employees needed to be more open to new knowledge and feedback if implementing a more innovative culture was going to be effective. To accomplish this, Nettium overturned its annual performance reviews in favor of more regular, real-time feedback system using SelfDrvn. Leaning on the SelfDrvn digital engagement hub, Nettium digitized performance surveys, HR feedback, and employee wellness. 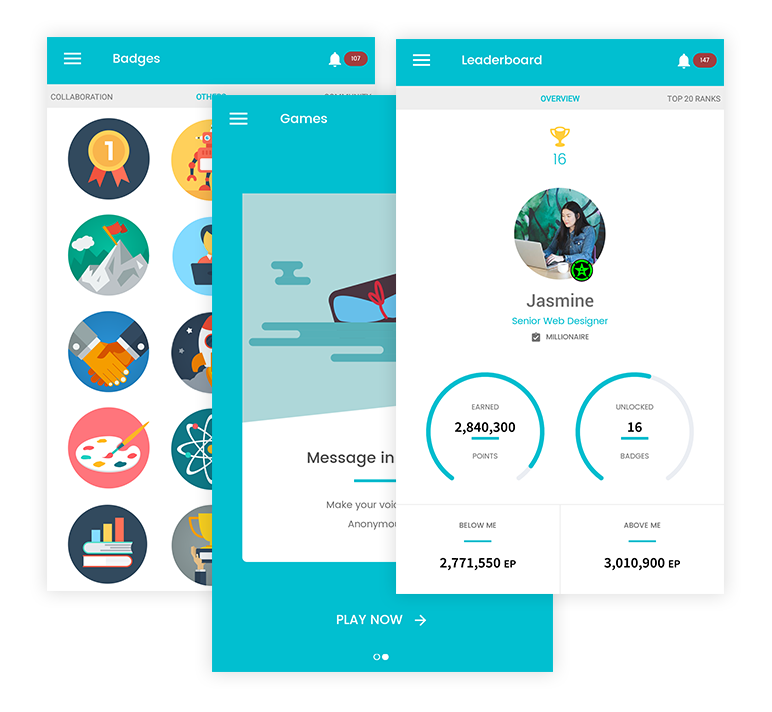 It also tapped into SelfDrvn’s communication and social collaboration channels, and gamified rewards systems to complement the company’s standard compensation system. Two years after SelfDrvn was adopted, Nettium has recorded a 2.6 times increase in headcount. The company also scored 67% on the Aon Hewitt High-Performance Culture Index compared to the Malaysian average of 48%. More than 90% of its employees voluntarily participate in the digital platform, an indication of engagement in company activities. Employee retention also increased from 2013 to 2016 while employee absenteeism decreased in the same period. SelfDrvn also allows Nettium automate its employee wellness program, from Excel spreadsheets to an automated system that uses the sensors on employees’ phones to track how many steps they take and rank everyone in a leaderboard. Employees can give and request feedback to and from each other anytime using SelfDrvn, and the engagement platform’s social collaboration and gamified tools make it an attractive solution for millennials in the workplace.